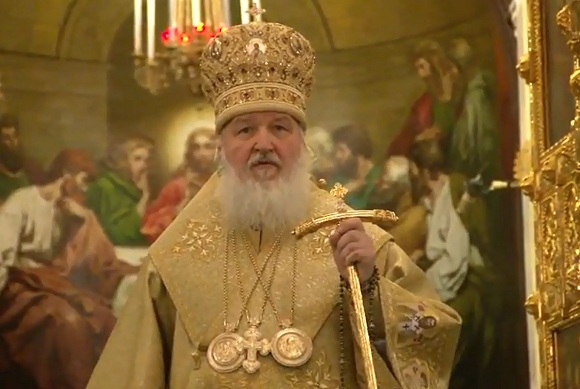 One year ago today – on December 31, 2011 – His Holiness, Patriarch Kirill of Moscow and All Russia, offered the following word before serving the annual New Year’s moleben [supplicatory service] in the Cathedral of Christ the Savior in Moscow. 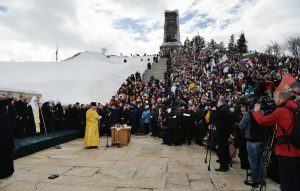 Following established tradition, New Year’s molebens are celebrated in churches of the Russian Orthodox Church on the threshold of the New Year. According to the Church’s Typikon, the year begins on September 1 (Old Calendar), but inasmuch as all our people, the whole country, and the entire world begin the New Year on January 1, the Church offers up special prayers for the coming year at this time. We offer thanks to God for all the mercies that have been shown us in the past year. There were not only mercies, but there were also punishments – for our loving God also shows His care for people through punishment. Just as loving parents are sometimes required to punish their children in order to avert greater harm, so too does God frequently prevent us from performing more sinful deeds by leading us through trials. This relates to the lives of individuals, to the life of the country, and to the lives of the entire human race. It is enough to read the Holy Scriptures of the Old Testament, in which Divine Providence – both loving and punishing – is so clearly spoken of. When we direct our gaze to the future, in human terms we certainly want the coming year to be easier, better, and more successful – and this is our legitimate and natural striving for happiness and well-being. But today very many people do not associate this well-being with God in any way. They think that they – and they alone – are the beginning and end of everything concerning them; they think that whether we will be happy or unhappy, healthy or sick, successful or unsuccessful all depends on us. But an impartial look at history – not just at human history, but at the histories of our own lives – can convince anyone that this is not the case. We pass through events and trials in our lives during which none of our powers is enough for us to surmount them worthily, to escape misfortune, or to acquire that which our souls are seeking. Thinking people understand that things that are impossible with men are possible with God (cf. Luke 18:27), for He Himself spoke to us of this. Then we turn to the Lord in supplication, and how often He hears our prayer! Once again, it is impossible for us to prove this to people with hardened hearts. But this remains real proof of the power of human prayer, when those who pray receive an answer from God and can witness that God’s power has been shown to them and to their friends and relatives. In fact, man’s entire religious life is based on God’s answer to our prayers: there would be no religious faith if there were no answer. One does not go to a well that has no water. We would not turn to someone if we knew for certain that he would neither answer nor help – no one would waste their time and energy on this. Would people really turn to God, would they really dedicate their lives to the Lord, if they had not heard His answer? Here today, on the eve of the New Year, those who believe in God’s power have gathered in this church. In all the churches in our land, as well as beyond its borders, many are praying today that the Lord might incline His mercy to us all and make the coming year a year of His goodness. Let us all pray with firm faith for our relatives and friends, for ourselves, for physical and spiritual health, and for well-being. Let us pray for our country, that by His mercy the unity of our people might be preserved so that, by joining forces, people might overcome the difficulties our country is presently undergoing. Our Church will pray for all of historical Russia, because it is present in all its constituent countries. 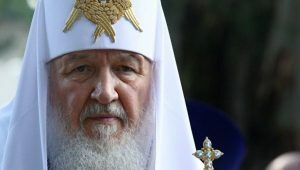 We will pray that the coming year might be peaceful for all the peoples of Holy Russia, that the Lord might keep our Church in unity, peace, and that spiritual strength that alone capable of imbuing human life with the gift of the Holy Spirit. We believe that the Lord, through His ineffable mercy, will incline His love and His kind providence upon us all. Amen.